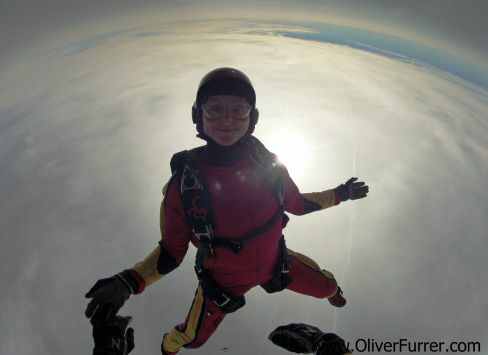 News 20.10.12: We celebrated Corinne’s birthday skydive jump over Strasbourg, France this year! It was a beautiful warm autumn day and perfect to do some freefly dives with friends together. After jumping at the Centre Ecole et de Parachutisme d’Alsace we fete the end of the season at a local Restaurant and enjoyed a delicious meal.